Beatport Mixes recently announced a very special presentation by Ferry Corsten. The Dutch trance DJ had the honour of being chosen to be the front-page headliner and to showcase his ‘Once Upon A Night, Vol.3’ mix compilation in a unique two-part Beatport Mix. Beatport Mixes allows DJs to profile themselves, allowing visitors to purchase their DJ mixes and unmixed tracks. 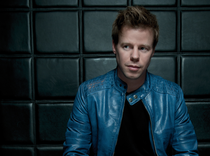 After years of racking up tracks and remixes, Netherlands’ Ferry Corsten dropped his album ‘Once Upon A Night in 2010’, and it’s since become a signature part of his brand. He turned the release into a tour experience and has subsequently made it into a series, the third installment of which he released last year. Now Corsten is back with a two-part Beatport Mix which incorporates all of that music into a pair of hour-plus sets. To honour the occasion, Beatport grabbed the long-time DJ/producer to get his thoughts on the mix and to see what we should expect from him in 2013. Do you have a couple of particular favourite tracks that you’ve included? I have quite a lot of favourites from the compilation. To name a few; Analogue Sound Department’s ‘Greetings’, Yuri Kane feat. Jeza’s ‘Love Comes’, Cosmic Gate’s ‘Crushes’, Ferry Corsten vs. Markus Schulz’s ‘Stella’ and ‘Give It to Them’ by Festen. I have been playing these tracks during my live sets and the reaction of the crowd is always so great whenever I play them. What’s your preferred gear setup for recording a mix? Two CDJ-2000s, a DJM-2000 mixer and my Mac. Any highlights of 2012 that you’d like to tell us about? There have been many, really. The two Corsten’s Countdown specials have been amazing. The Full On shows in Ibiza and the big festivals during the summer were definitely some of my highlights of 2012. What should we keep our eyes out for in 2013? I will be hosting new Full On shows in 2013, which are going to be amazing. I will also be releasing new music which you should definitely check out!